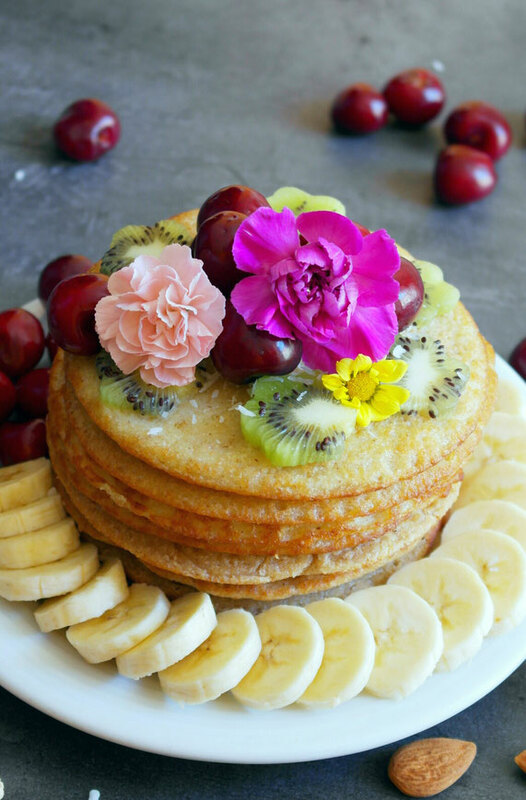 4 ingredient pancakes made with aquafaba - simply & healthy vegan recipes that taste amazing! Pancakes with only 4 ingredients! 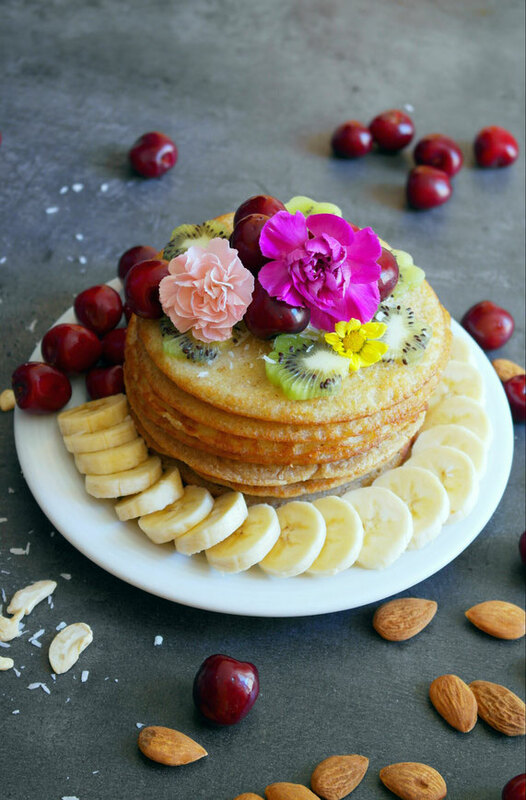 Love to share this very easy and gluten free recipe of pancakes made with aquafaba with you. You only need rolled oats, millet flakes, oatmilk and aquafaba. This recipe is perfect for a sunday morning or for a picknick and if you have kids, they will definitly love it too! The recipe is without baking powder. Mix the rolled oats and millet flakes for about 1 minute in a high speed blender. Add all the other ingredients and mix it until the dough is smooth. Let the dough set for at least 15 minutes. Heat up coconut oil in a small pan on a medium heat. Add 1-2 tbsp of the dough in the pan for one pancake. Flip the pancake to the other side when you see small bubbles on the surface. Enjoy with fresh summer berries, peanut butter and chocolate cream! Haferflocken und Hirseflocken in einem Mixer ca. 1 Minute fein verkleinern. Alle restliche Zutaten hinzufügen und kurz mixen bis der Teig ganz glatt ist. Danach den Teig für ca. 15 Minuten ruhen lassen. Dann 1-2 große ELTeig in eine auf mittlere Hitze erhitzte (mit 1/2 ELKokosöl), beschichtete Pfanne geben. Nach ca. 1 Minute bilden sich kleine Bläschen, dann den Pancake einmal wenden und von der anderen Seite schön goldbraun ausbacken.